His execution began shortly after the U.S. Supreme Court refused to issue a stay and Gov. Jay Nixon denied clemency for the condemned man. "John Winfield’s violent rampage left two women dead and another permanently blinded," Nixon said in a written statement. "The jury in this case properly found that these heinous crimes warranted the death penalty, and my denial of clemency upholds the jury’s decision." The details of the request for clemency were the subject of controversy and a lawsuit in the past few weeks. 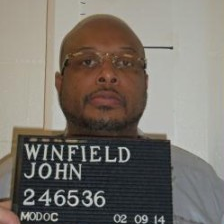 Last week, a federal judge ordered Missouri to halt the execution, after she found that the state had likely intimidated a correctional officer so he wouldn't support Winfield's clemency petition. But shortly after her ruling, the state delivered the officer's statement to Nixon and argued no harm had ended up being done. The 8th Circuit Court of Appeals agreed, and removed the stay of execution late Tuesday. "The Department of Corrections now has furnished [the officer's] signed declaration in support of clemency to the governor," the appeals court wrote in its ruling. "The governor has before him the favorable information that [the officer] initially agreed to convey in support of clemency. There is no evidence that any other state employee has been deterred from speaking in support of clemency for Winfield." The court said there were only minimal due process safeguards for the clemency process, which is a request for the governor to stop the execution. 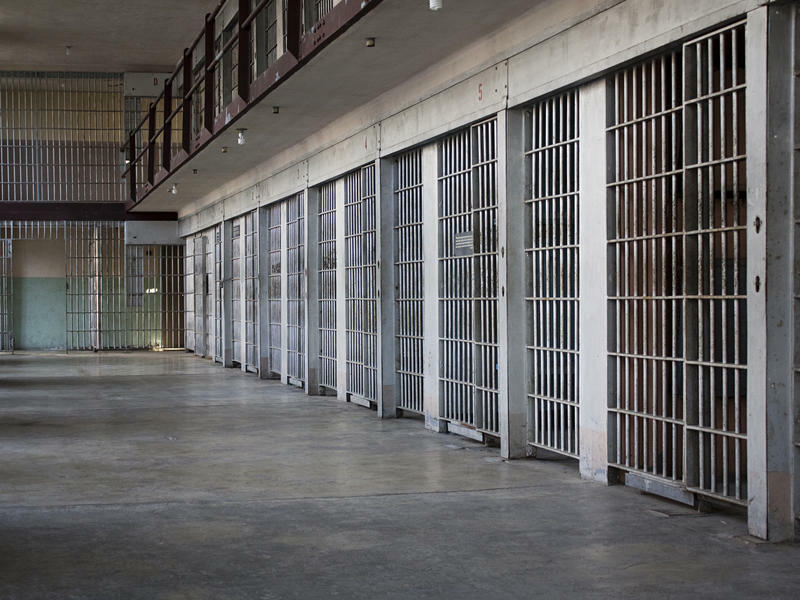 The judges said the intimidation of the officer was "likely not ideal" but said, "Whatever minimal procedural safeguards might be guaranteed by the due process clause in a clemency proceeding are likely satisfied here." Four of the 11 judges disagreed with the court's findings and argued the execution should be halted. "The fact that the state sent this statement to the governor would not alter a conclusion that Winfield's due process rights have been violated," the judges wrote in the dissent. "There is a significant difference between the governor receiving a committed voluntary statement in support of clemency and a later disavowed statement sent on behalf of a pressured witness. "To conclude otherwise would ignore reality." The dissent later chastised the state for intimidating a clemency witness. Missouri was the second state to carry out an execution after Oklahoma botched one. In April, Oklahoma attempted to put an inmate to death for 43 minutes, before the inmate died of what appears to be a heart attack. An investigation into why Oklahoma's executed failed is still ongoing, but a preliminary autopsy disagreed with the state's assertions that it was caused by a ruptured vein. Missouri, like Oklahoma and many other death penalty states, hides the identity of its supplier. The new secrecy has even drawn skepticism from Attorney General Chris Koster, who is defending the state in court. Death row inmates have long argued that they need to know the identity of the supplier to know if the drug is pure and potent. A St. Louis Public Radio investigation in December revealed that Missouri was buying its drugs from a pharmacy that wasn't licensed to sell in the state — one that had been cited in the past by regulatory bodies. 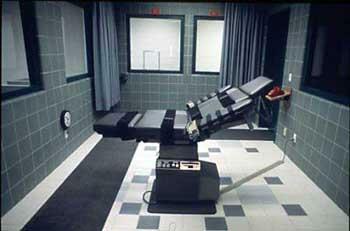 Following a lawsuit, that pharmacy has since agreed to not sell for Missouri's executions. At this time, we know nothing about the state's new supplier. But this did not inspire the courts to halt the execution. Lower courts have ruled that, if the inmates are unhappy with Missouri's methods, they must propose an alternative. On the U.S. Supreme Court, only one justice — Sonia Sotomayor — was listed as voting for a stay based on the secrecy concerns. Who's Waiting On Death Row? News of Tuesday's botched execution in Oklahoma got us thinking more generally about who is in prison and who is facing the death penalty.